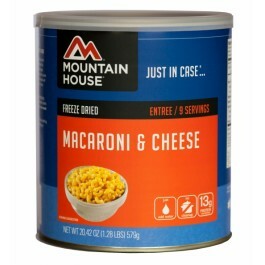 Mountain House #10 can of macaroni & cheese will provide some great variety to your existing stockpile of food. It is also a good choice for starting out a new stockpile, since it is one of the best tasting and most popular foods out there. Macaroni & cheese is loved by children, which will make getting through difficult situations a little bit easier. 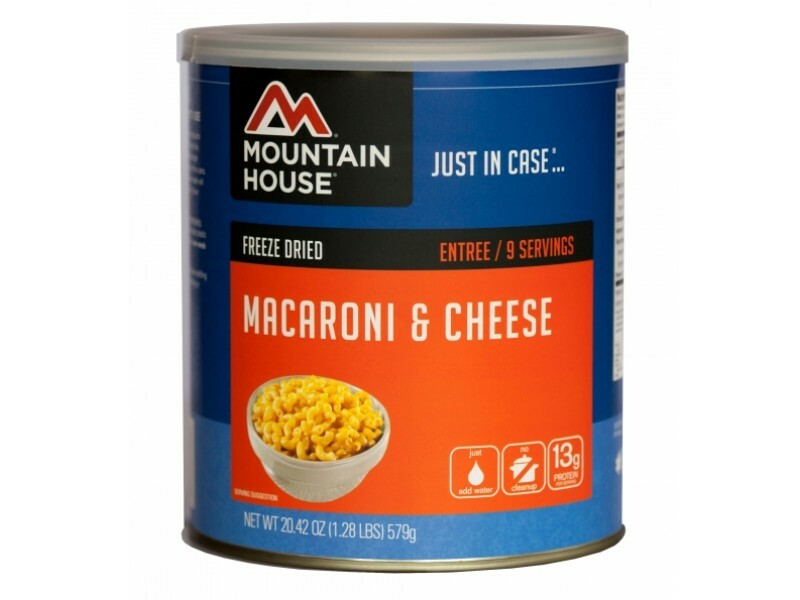 This can of emergency mac & cheese provides 9 full servings of great tasting food everyone can enjoy. With a 25 year shelf life, you will have access to great food whenever you need it. When it comes to planning out an emergency food storage system, it is very important to have a lot of different foods available. This is especially true if you’ve got children that you are responsible for, since they often have different tastes than adults. 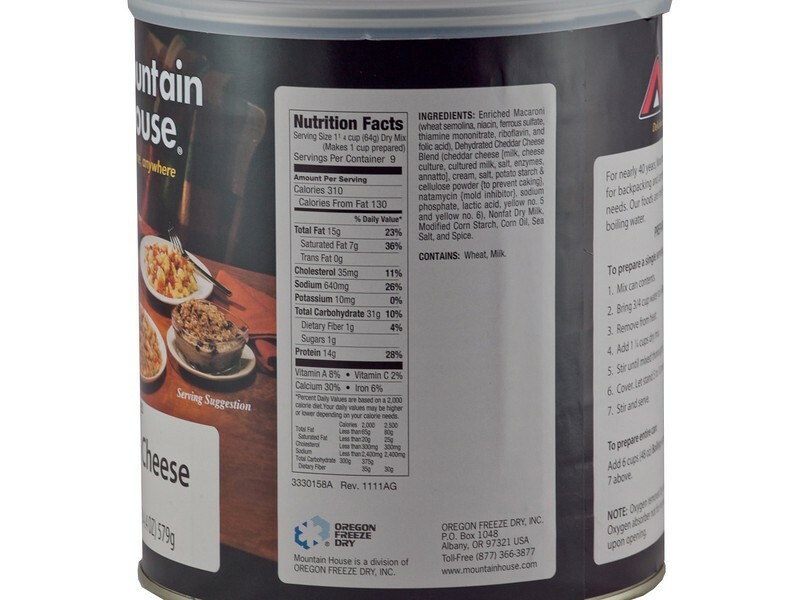 Having this macaroni & cheese from Mountain House available is a great way to reduce the stress and adjustment on the kids, while also providing a great tasting meal for everyone. The can has a shelf life of 25 years or longer, so you can store it away for when you need it. Whenever you’re ready, pulling out the can and cooking up a nice meal is as easy as mixing in hot water and waiting for it to cook. You can then serve the meal to your family for them to enjoy. 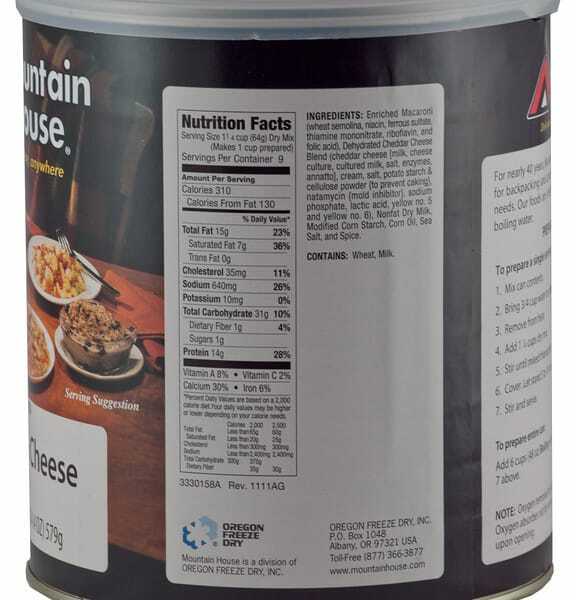 Macaroni & cheese from Mountain House provides much more than just great tasting food. 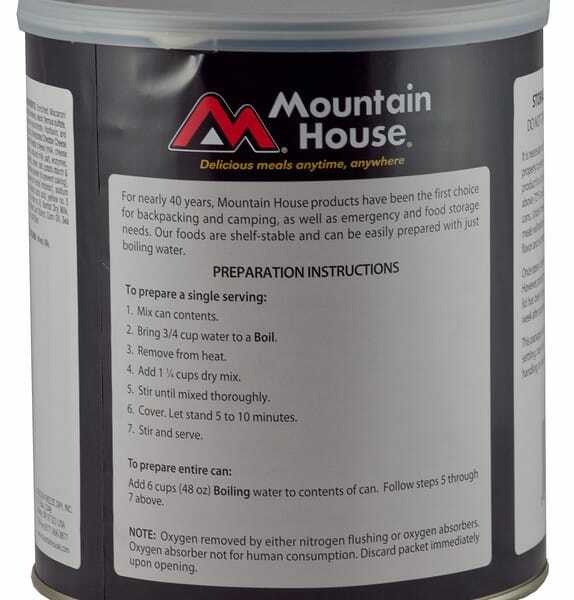 Each serving has plenty of great nutrients, and calories, which is important for emergency food rations. 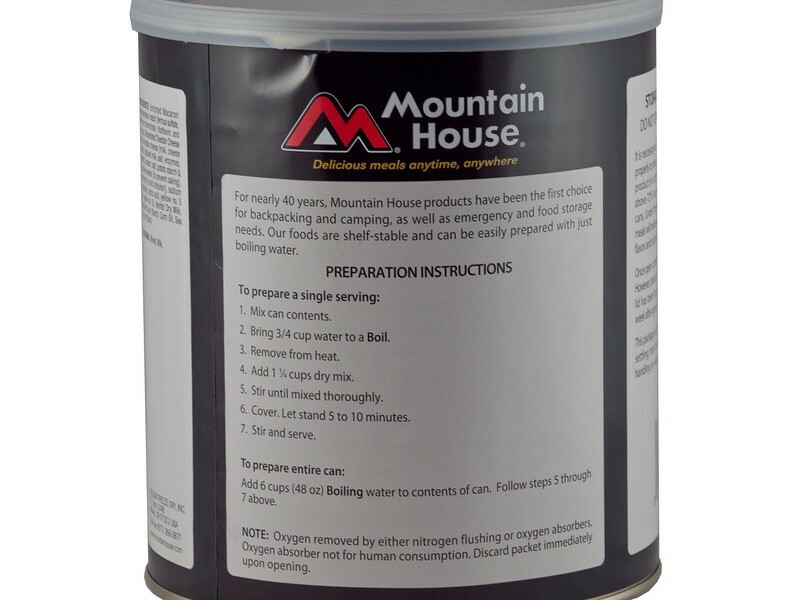 Keeping everyone feeling full and strong while going through any sort of disaster situation is absolutely essential, and this product can do just that. One can contains 9 1 cup servings.